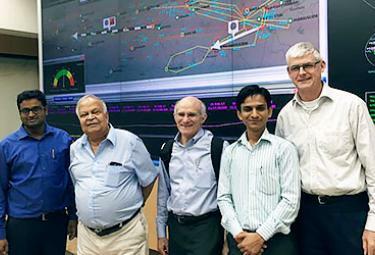 GE Power’s Grid Solutions business (NYSE: GE) announced today the commissioning of the first leg of the mega grid-stabilization project by handing over what will be the world’s largest Wide Area Monitoring System (WAMS) solution to Power Grid Corporation of India Ltd (PGCIL) for the Northern Grid (NR) in India. The project is part of the Unified Real Time Dynamic State Measurement (URTDSM) initiative that entails monitoring and controlling of the electricity supply across the country which will positively impact India’s total population. The project has been executed by GE T&D India Limited, listed entity of GE Power’s Grid Solutions business in India.